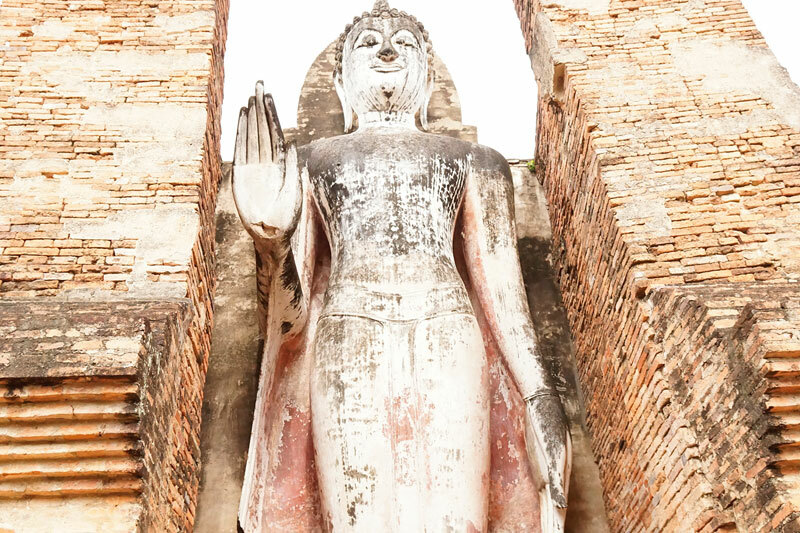 A visit to Sukhothai and its rich history is usually done on foot to closely connect to its past. Now, touring on wheels to cover the expanse grounds of ruins and relics gets you further by being a lot faster yet at a leisurely speed. What kinds of cyclist are you? Super-fit obsessive with a racer that’s up for a long and tough spin on the road? 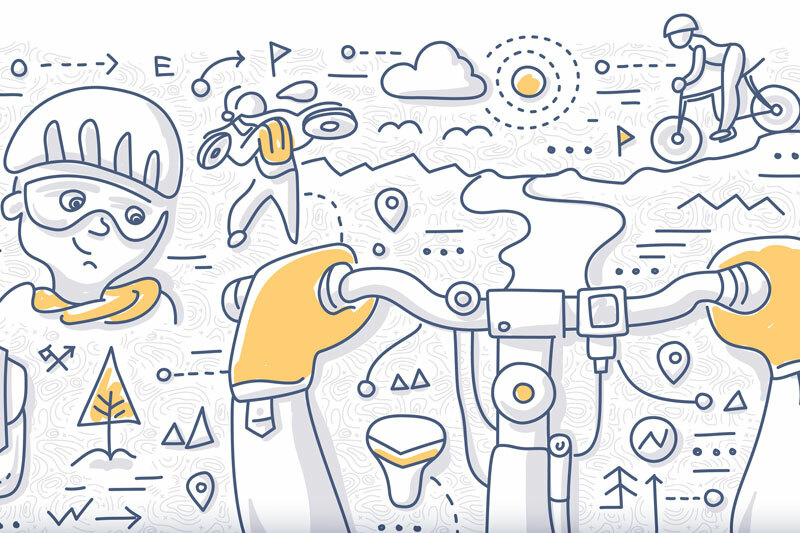 Maybe you’re a fair-weathered rider who rambles along country lanes, limiting the distance to 20 kilometres a day or one who cycles along a gentle path to cultural landmarks and beer stops? 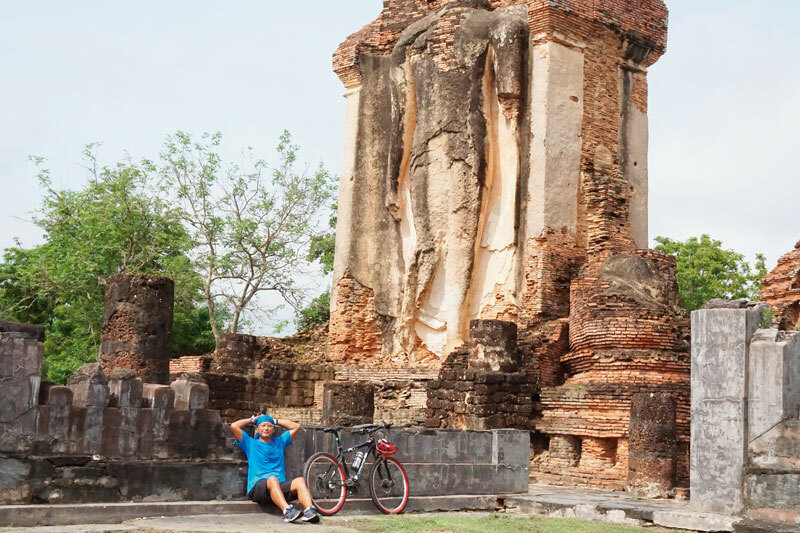 If you fall into the latter category, then cycling around Sukhothai Historical Park could be for you. Located in the lower part of northern Thailand, visitors come to the historic town of Sukhothai with knowledge that it was once the capital of the first Kingdom of Siam from the 13th and 15th centuries. such illustrious history makes it one of Thailand’s most impressive World Heritage sites. With the old town having 21 historical ruins within the old city walls and 70 more remnants outside (the compound), it offers much adventure for amateur and serious archaeologists who’ll consider touring ancient remnants while on two wheels. “We explore the historic monuments outside the wall today – we’ll try to enjoy cycling in its purest experience at our own pace, take photographs, stop for lunch and have some beer,” I said with determination, while discussing the riding plan and setting up our bikes with Jang, my girlfriend. 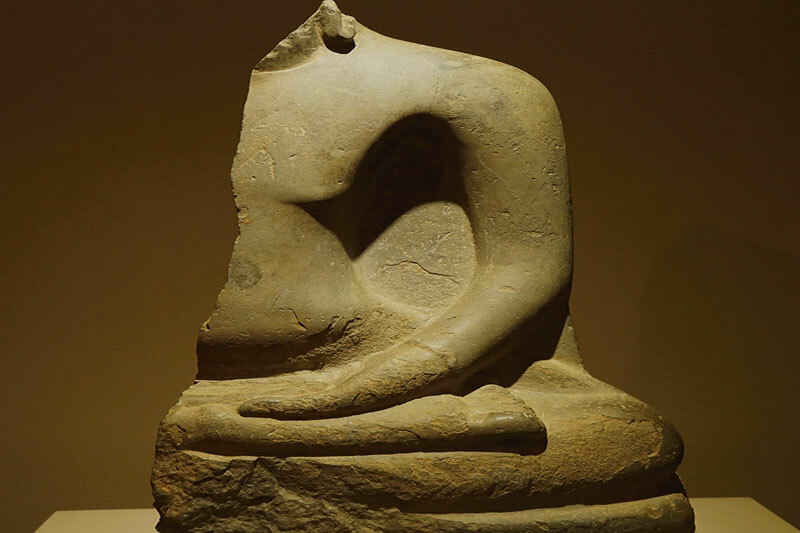 “At high noon, when the air is too warm, we drop in the museum to take a closer look at Sukhothai’s finest Buddha and art relics. Just before the end of the day, we look for a place for sunset beyond the ruins. Then we will have an extra beer before calling it a day,” I said with further conviction. With the ideal programme in place, we set off from Sukhothai Treasure Hotel, our base camp for a few days, and head wast to begin the history. Nestled on the west side of Yom River, the old city was established in 1238 and flourished until 143. With its finest religious art and architecture, this early kingdom marked the golden age of Thai civilisation. The remains of Sukhothai today features around 45 square kilometres of rebuilt ruins, making up one of the most remarkable historical parks in Thailand. Like Angkor in Cambodia and other ancient cities in Asia, the old city of Sukhothai is founded inside the city’s rectangle walls – which runs two kilometres east to west and 1.6 kilometres north to south. A huge gate in the centre of each wall stands where the local folks and visitors rub their eyes in wonder as they pass through the ancient gates. Inside are the royal palace and cluster of large ruins of temples such as Wat Mahathat and Wat Sra Si and Wat Si Sawai. However, there are some important temples outside the city wall since more than 200 ruins are scattered around the old city and rice paddy fields. All of them can be fascinating and ideal for cycling among Thailand’s brick fragments from the first civilisation. We reach the old city of Sukhothai, also referred as the “Dawn of Happiness” from the Thai word “suk (happiness) and u-thai (dawn) and reach Kamphaeng Hak on the east gate. Then, taking a left turn along the local road and heading south, it lands you at Wat Chetuphon. Sukhothai Historical Park is an easy place to be a bike tourist if you’re going it alone. It’s relatively straightforward for a visitor to drop in the bicycle rent shop (30 baht per day) and enjoy an adventure at their own pace. The cycle lanes, with well-marked sights, go side by side with the local roads, slithering through the ancient landscapes. On the southern side we teetered through a field of enormous potholes and into the cluster of small ruined temples, appealing in their dark brown stones. A man on his motorcycle passes by with a little boy in school uniform perched on it. On our simpler wheels, we exchange a brief smile. Two cyclists are about to leave the temple ground when we arrive at Wat Chetuphon. By then, we have the temple to ourselves. Unlike the Ayutthaya Historical Park, UNESCO’s World Heritage Site in central Thailand, Sukhothai is blessed with solitude and beauty. Few street hawkers and food vendors approach you since the park keeps them at bay, letting visitors make the most out of their time walking amongst the ruins.